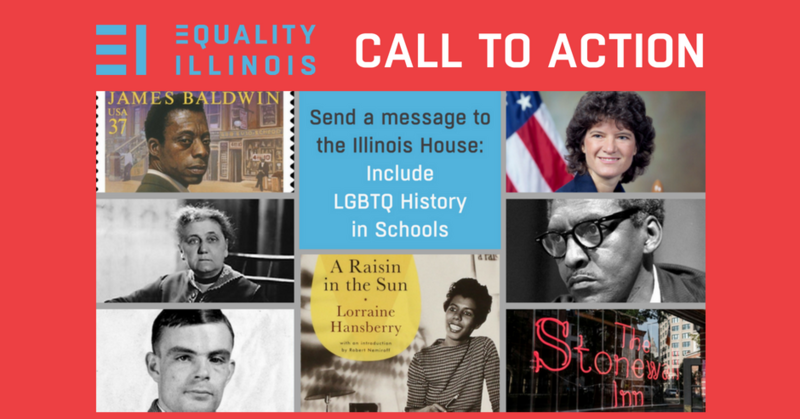 CALL TO ACTION: The LGBTQ Inclusive Curriculum Bill is now in the House floor as the final push for action on major legislation is underway in the General Assembly before the scheduled May 31 adjournment. There is vocal opposition to the bill. We need you to raise your voice in support of the bill and get it to the governor’s desk. Do not delay! Contact your House member TODAY to ask for a YES vote on SB 3249.